The Episcopal congregation of St. Matthew’s was organized in 1840, the fourth Episcopal church to be organized in the old Northwest Territory. The original church building stood where the county courthouse now stands. A.H. Ellwood, an architect from Aurora, Illinois who specialized in designing churches, schools, and public buildings, was selected to design the current building. 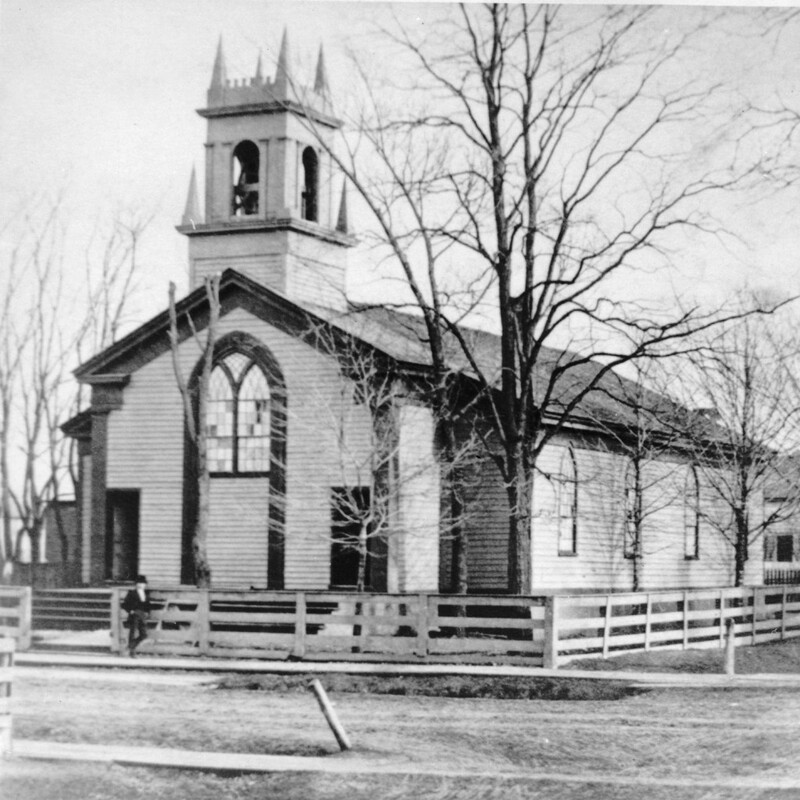 Begun in 1872 and completed in 1879, it is the oldest church building in Kenosha County. 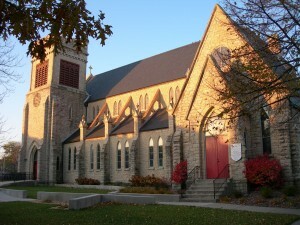 The church is built of Joliet (Illinois) and Racine (Wisconsin) limestone in the Gothic Revival style. Ellwood’s work is distinctive in its duplication of historic Gothic architectural details – far more than is usually seen in works of this period. The rusticated stonework of the church is done in a random ashlar pattern with dressed stone trim. The nave has a steeply pitched gable roof and shed roofs cover the side aisles. The west facade wall features wall buttresses that end above the roof line and are decorated with stone finials and support flying buttresses at each corner, a clock, a louvered belfrey, and a parapet with battlements. Completing the building plan is the polygonal apse on the north facade. A sacristy wing is on the west facade and a chapel wing projects from the east facade. In 1987, large Gothic windows on the south facade were replaced with contemporary stained glass windows.